This is a pic of me, Jeff (far left), Amy (far right) and Sharon. 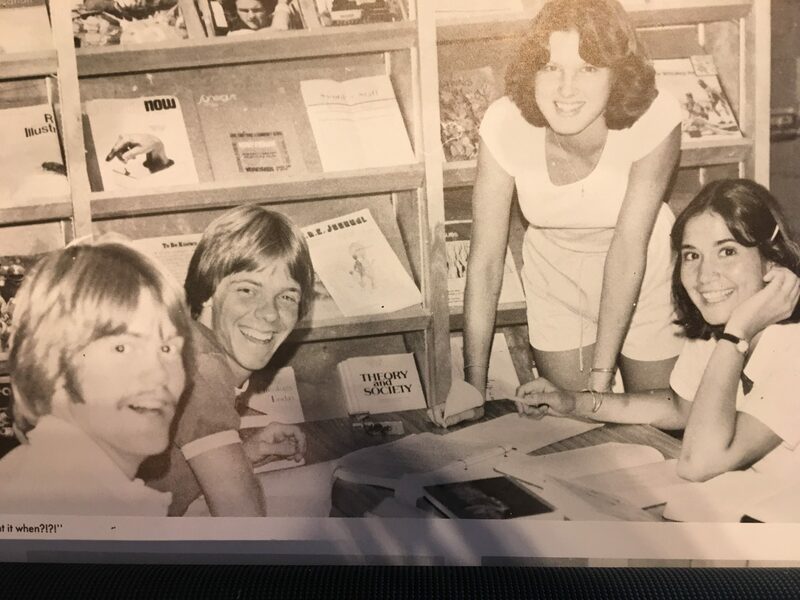 Studying in the library at Pacific Christian College, Fullerton, CA, 1979. Amy is a faithful follower of this blog! Let's do one more book in the OT I used to avoid the Old Testament and stick with the New. Now I find myself being pulled to stay in the Old Testament. Habakkuk was quoted in a sermon I heard recently so I’ve been thinking about the message of this minor prophet lately. As I was skimming over it this morning, I realized it’s the perfect contrast to Esther. In Esther, everything turns out right for Esther and Mordecai. In Habakkuk, everything goes wrong. Who can understand God’s ways? 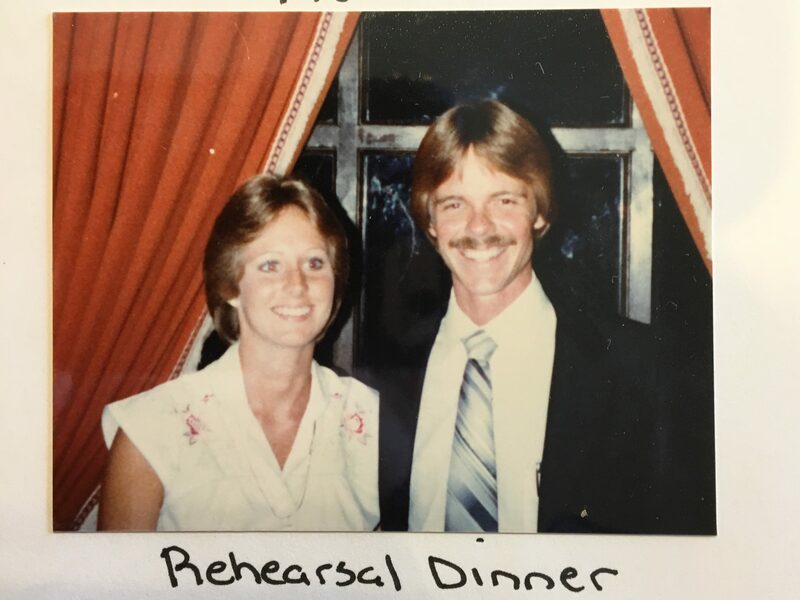 This pic is from our Rehearsal Dinner, August 6, 1982! Habakkuk 1 After a brief introduction, Habakkuk gets right to the point. The introduction states this writing is an oracle; a weighty judgement, an announcement of God’s wrath against sin. This is a reality of a God that I acknowledge as true, but I don’t like to dwell on it. However, dealing with the verses before me in Habakkuk, well, it’s in my face and I can’t avoid it. Also, Habakkuk describes this oracle as something He saw. He is conveying, I suppose, a vision he had, and it was disturbing, to say the least. 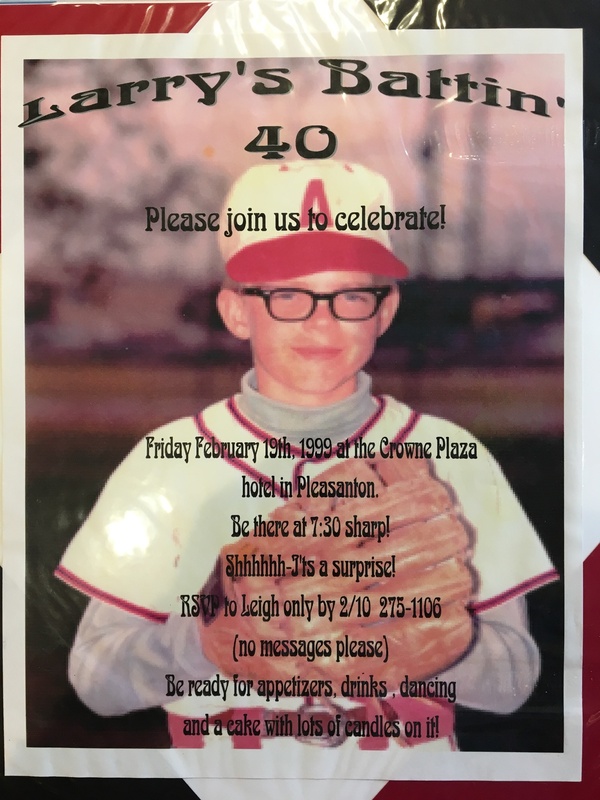 Today is my birthday (turning 59) so I thought it would be a good day to post the picture and flyer Leigh produced to invite friends to my surprise 40th Birthday Party. Habakkuk 1 Habakkuk speaks first in this debate between the prophet and God. “How long, O Lord, will I call for help, and You will not hear?” Ever felt that way? The prophet begins by focusing on the situation from his point of view. Yes, the situation is dire in Judah. Sin and wickedness is rampant. It’s understandable, but the opening statement is about the prophet; how he feels and his perspective. Hey God, I cry for help and You don’t listen. You are not there for me. You devote Your time and attention to something else and not me. This approach is not advisable but we all do it, sometimes more overtly than other times. 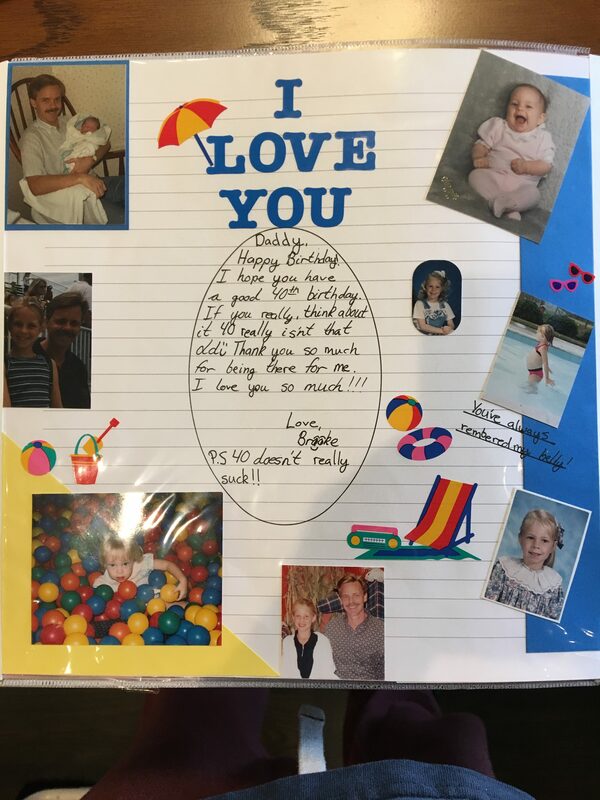 Here's a birthday message & pics to me from Brooke when she was 10 years old and I was 40! Habakkuk 1:5 and following The debate between Habakkuk and God has just begun. Who’s going to win? What do you think are the Vegas odds here? Habakkuk started from a selfish place of asking, or I could say, whining about why God doesn’t hear and respond to his prayers. Habakkuk was sick of the escalation of wickedness, debauchery and sin in his nation. Why is God indifferent?